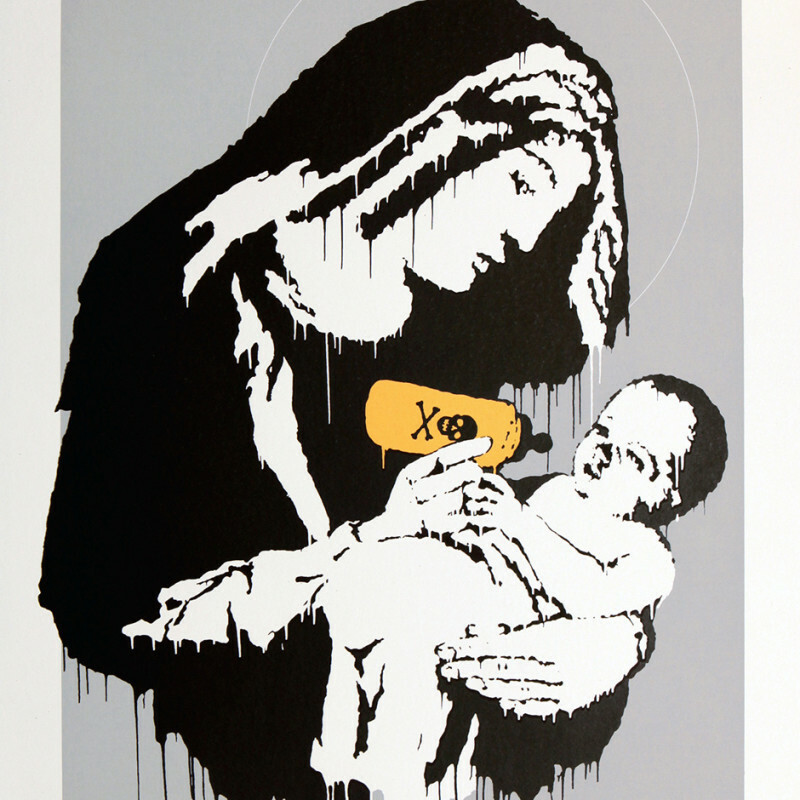 A world renowned artist and arguably one of the most well known, yet we still know very little about the man behind the ‘Banksy’ name. 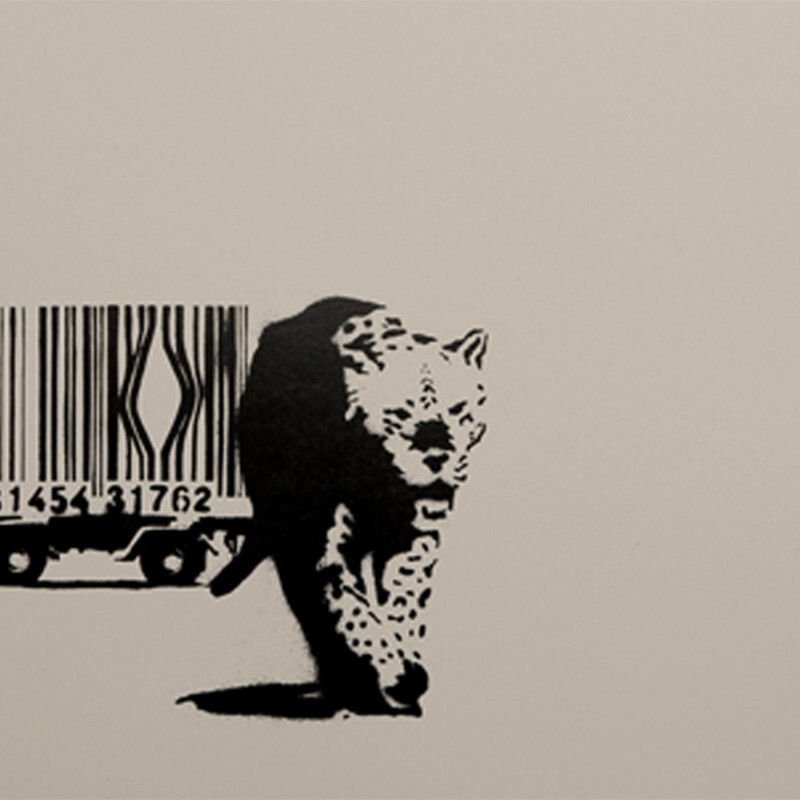 His identity still remains an unsolved mystery despite various attempts by the media to disclose his name. 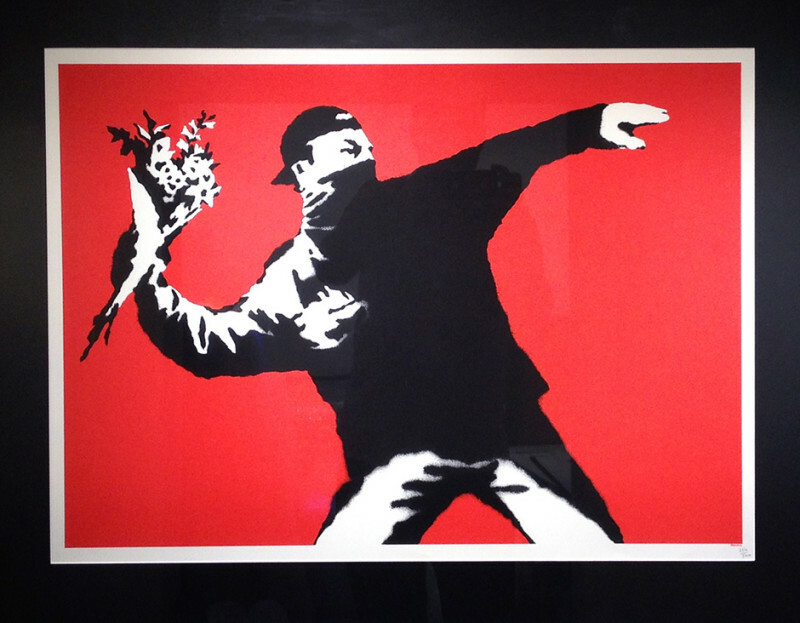 The pioneer of the UK graffiti scene, Banksy was the first UK graffiti artist to successfully merge street art and fine art, becoming a worldwide phenomenon. Installing his own painting into the Louvre, and the media furore this attracted, alongside other high profile public stunts allowed him to cement his place as leader of the street art movement. 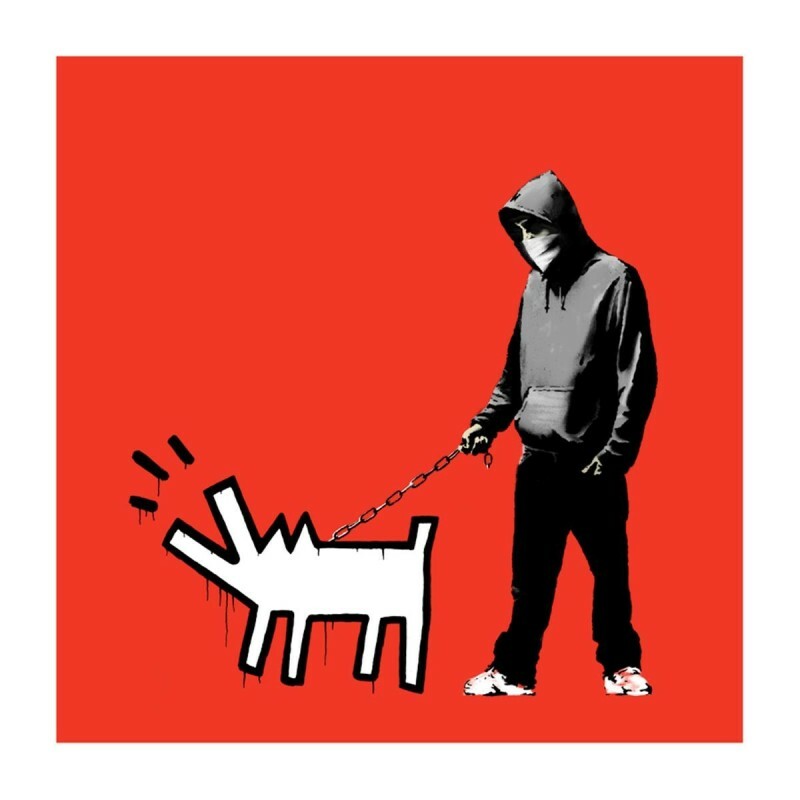 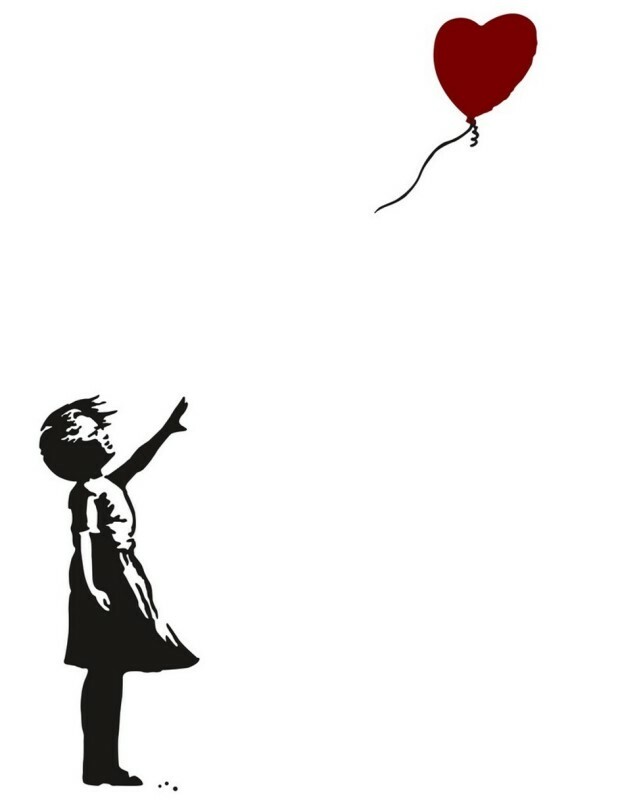 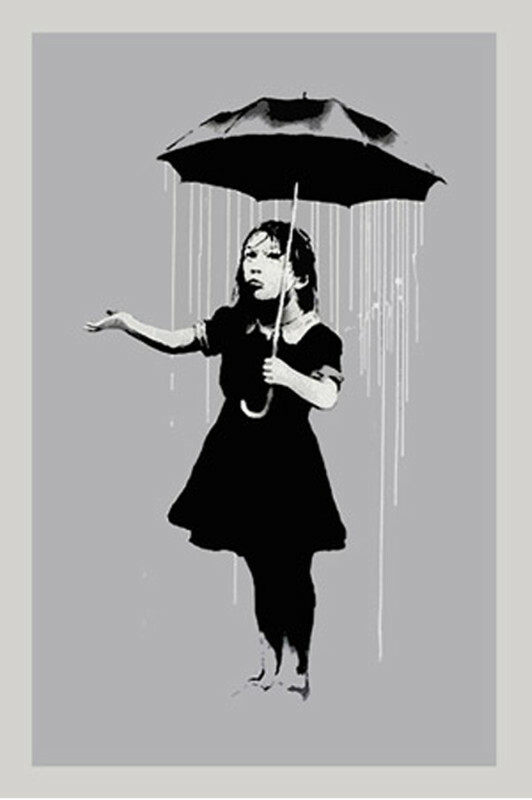 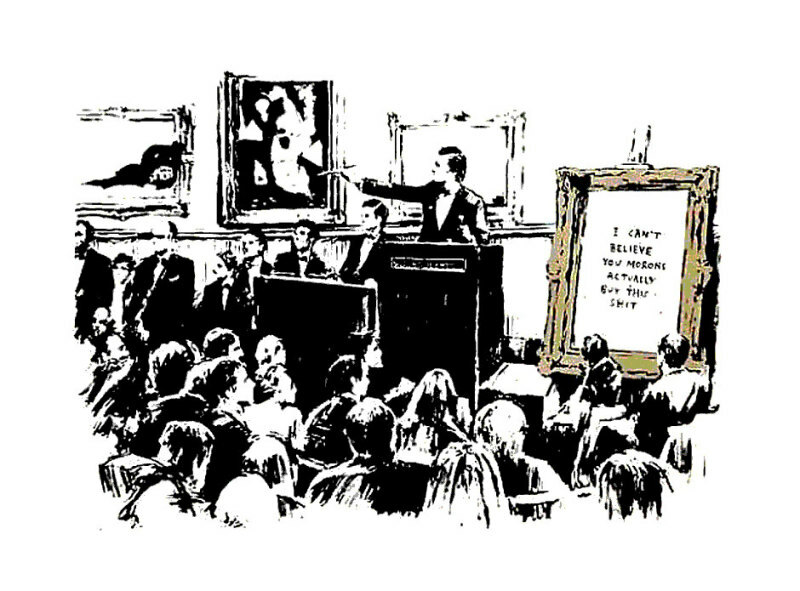 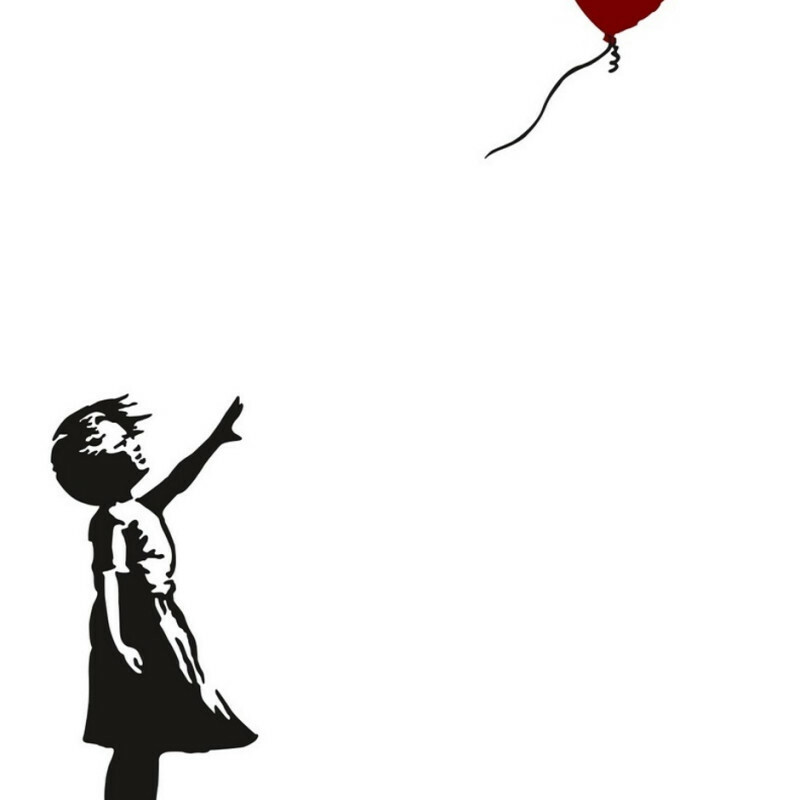 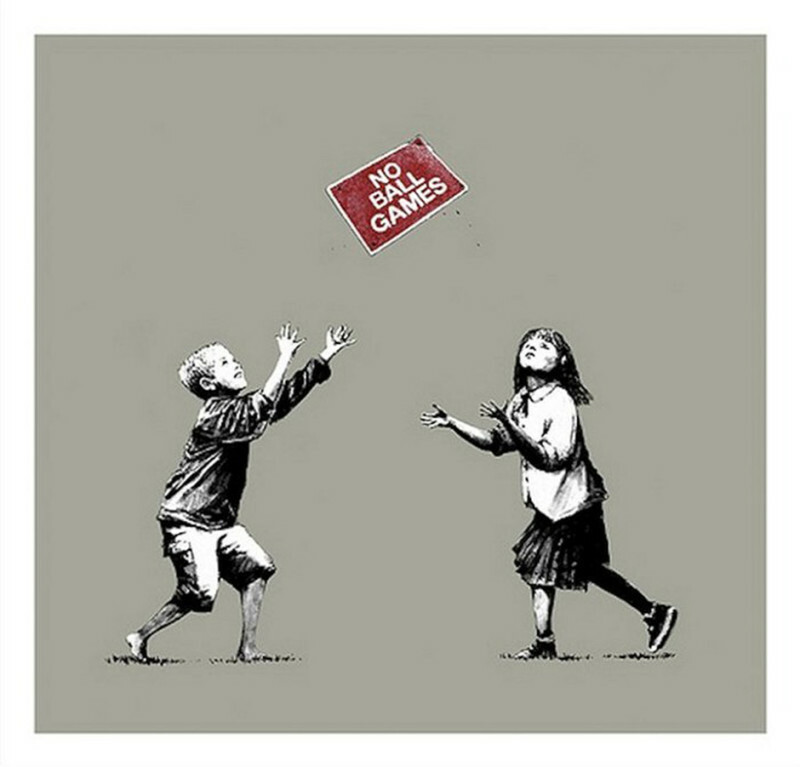 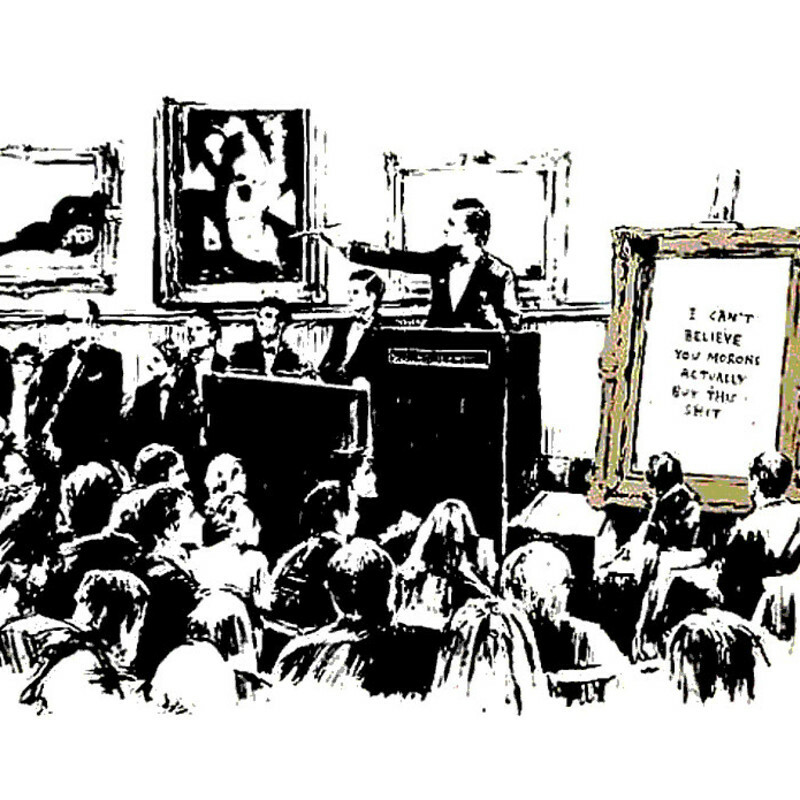 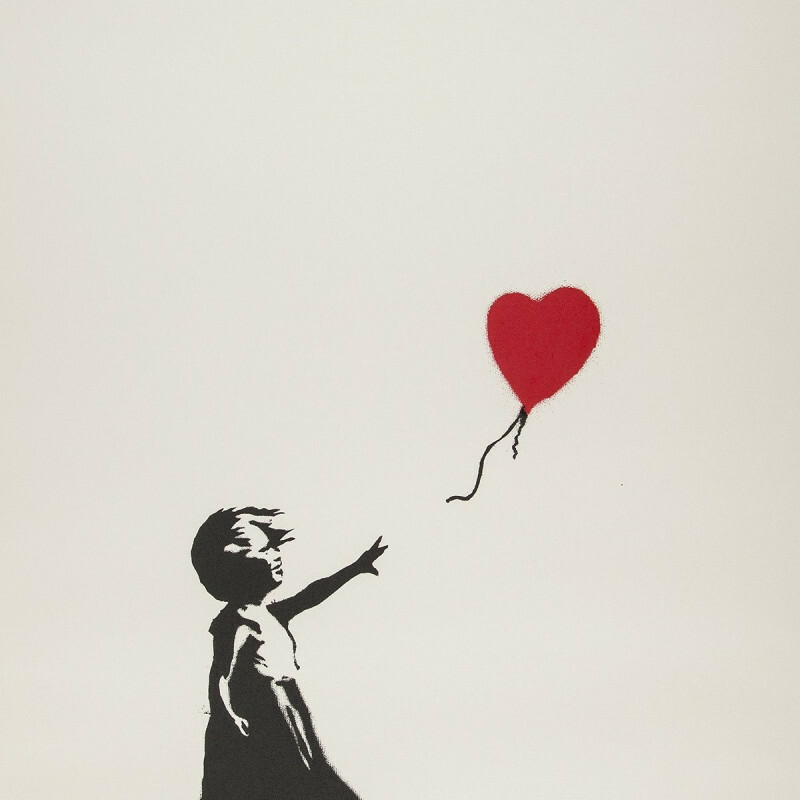 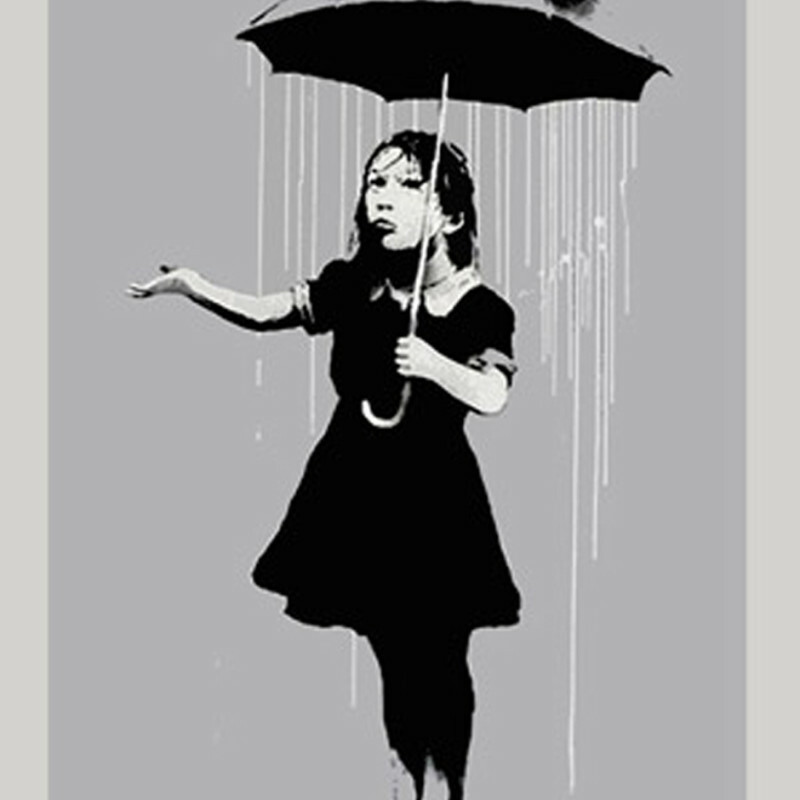 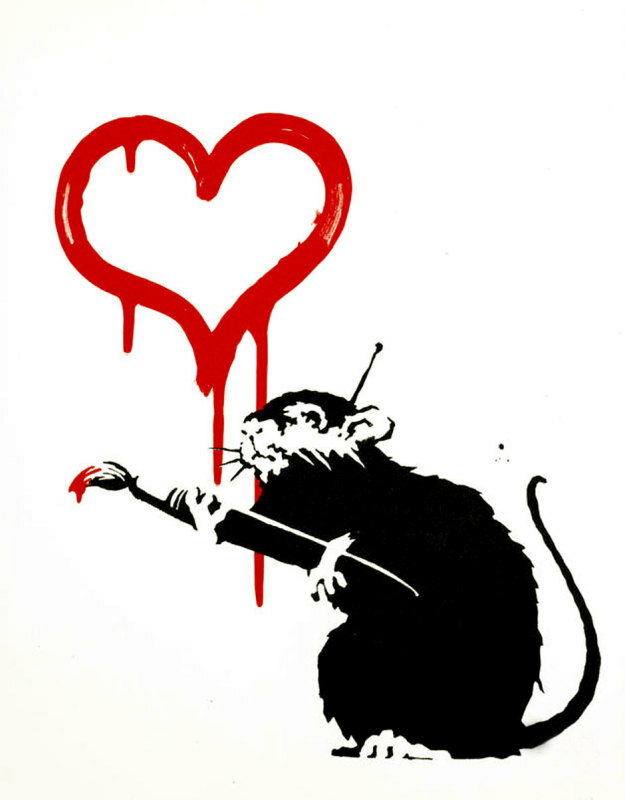 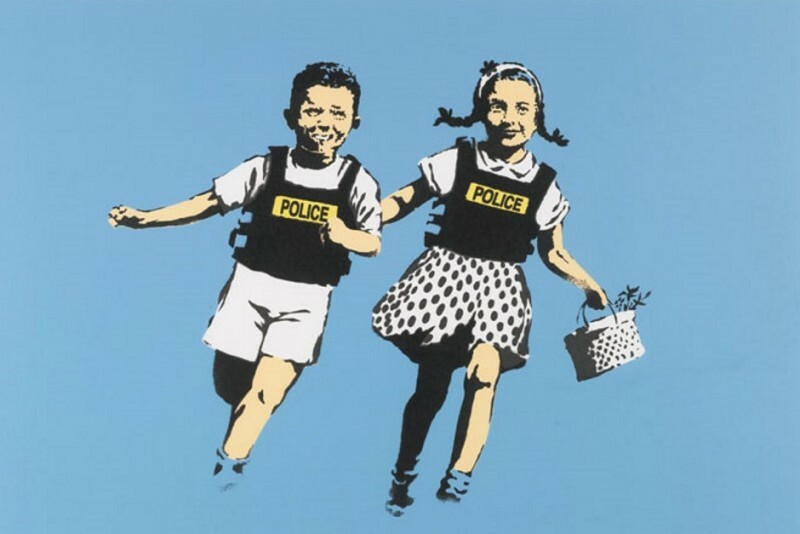 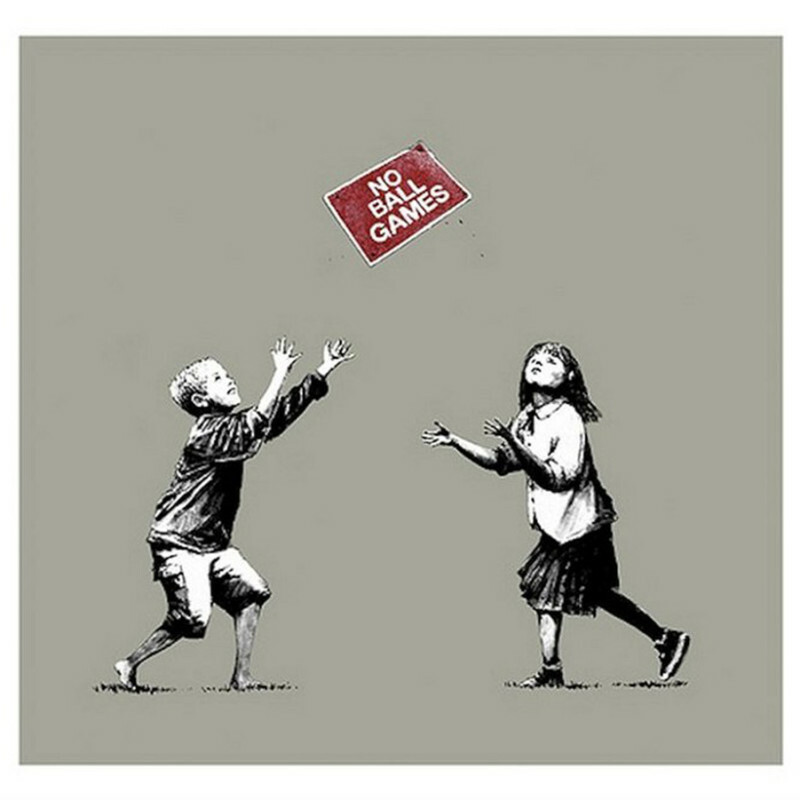 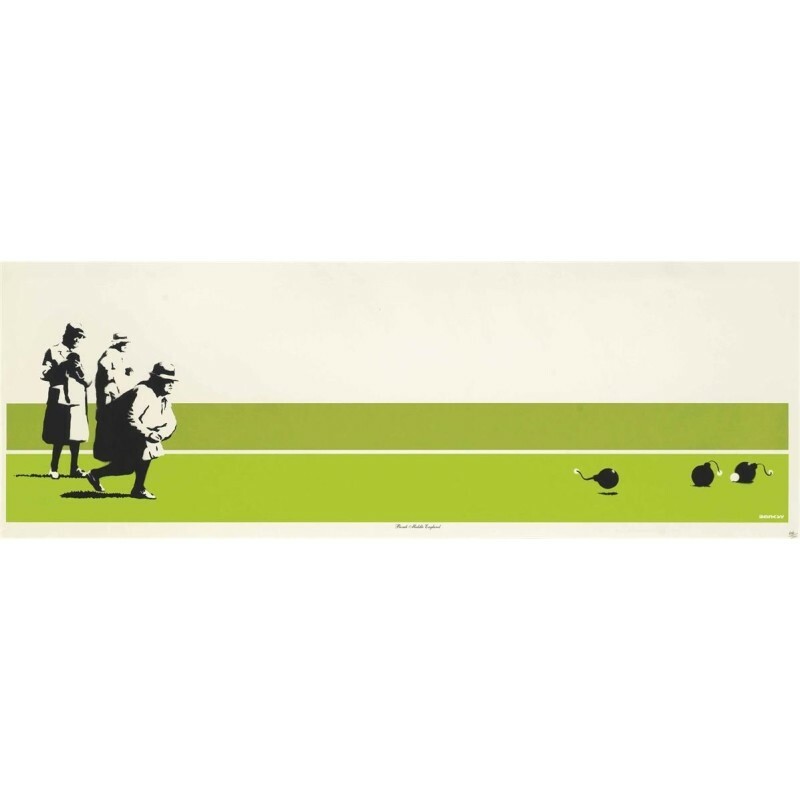 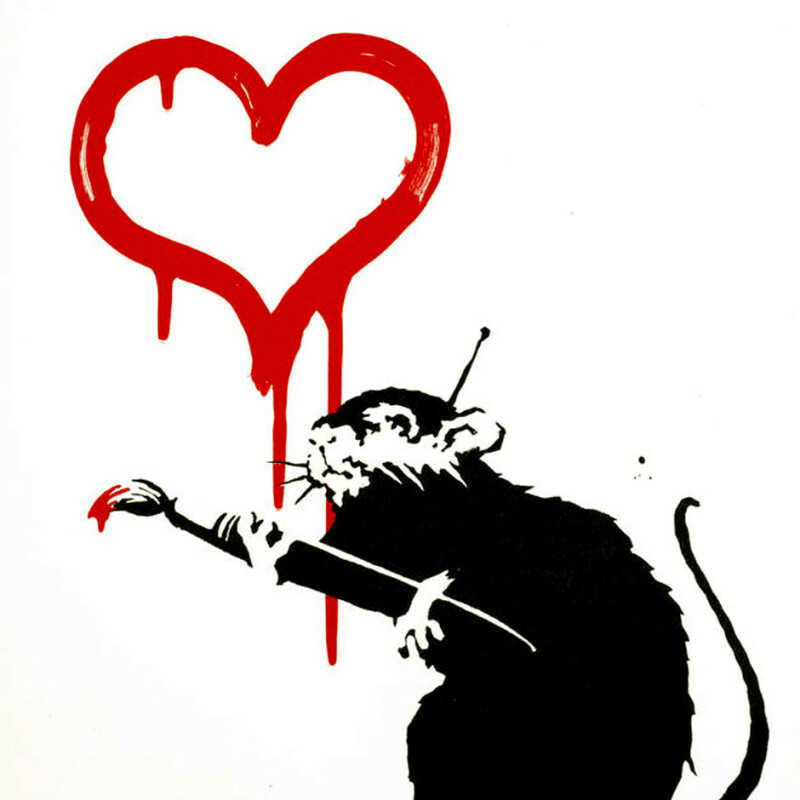 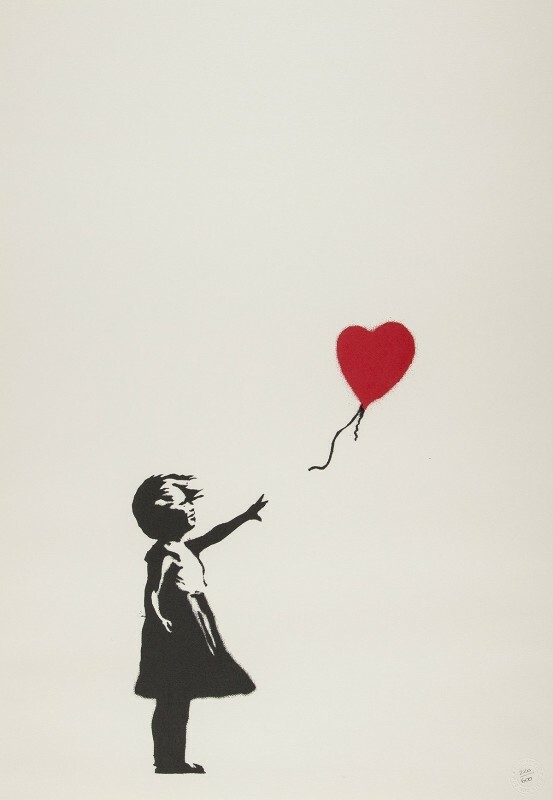 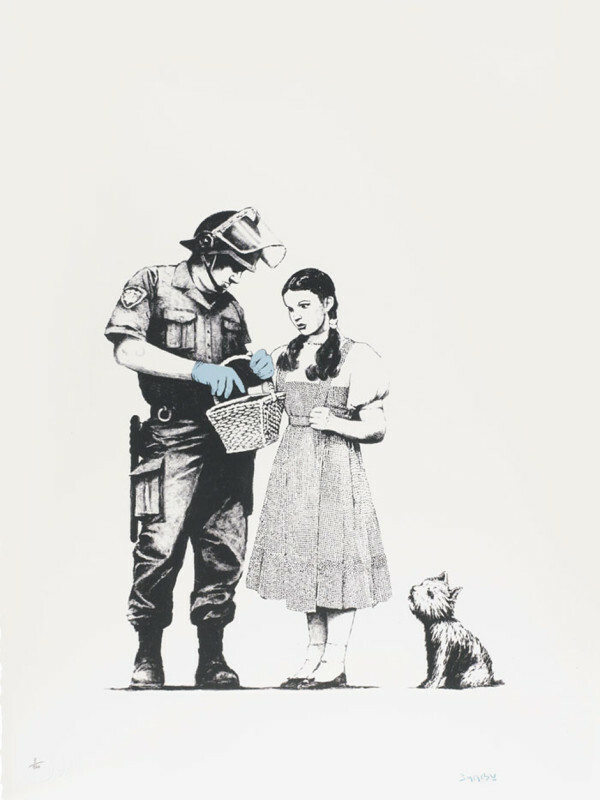 Banksy’s stencils have become incredibly popular both nationally and internationally with his subversive images seen daubed on walls throughout the world. 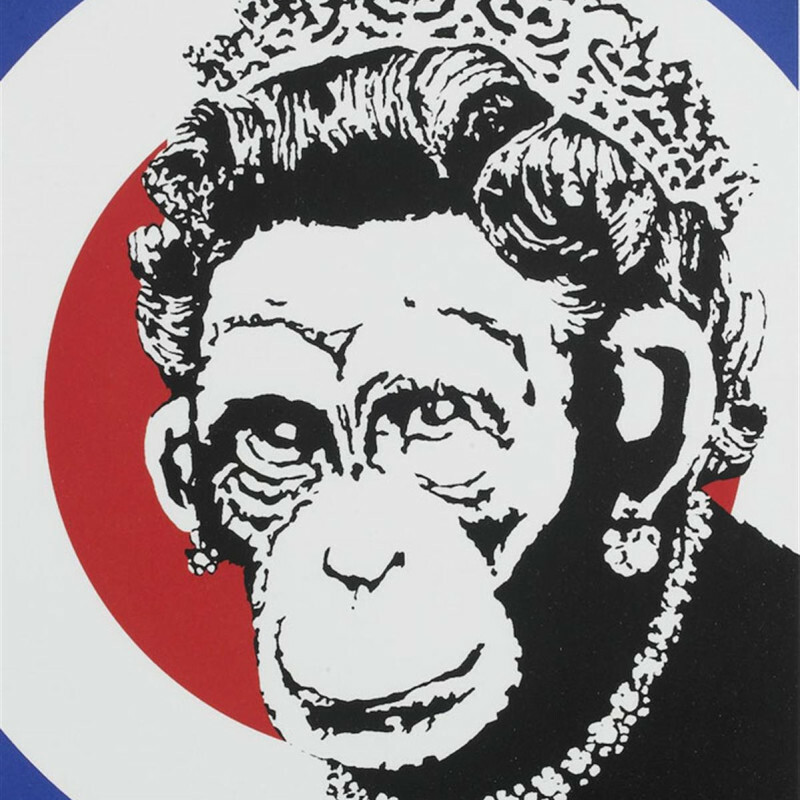 A strong celebrity following and the allure his anonymity creates have made his pieces highly sought-after and valuable. 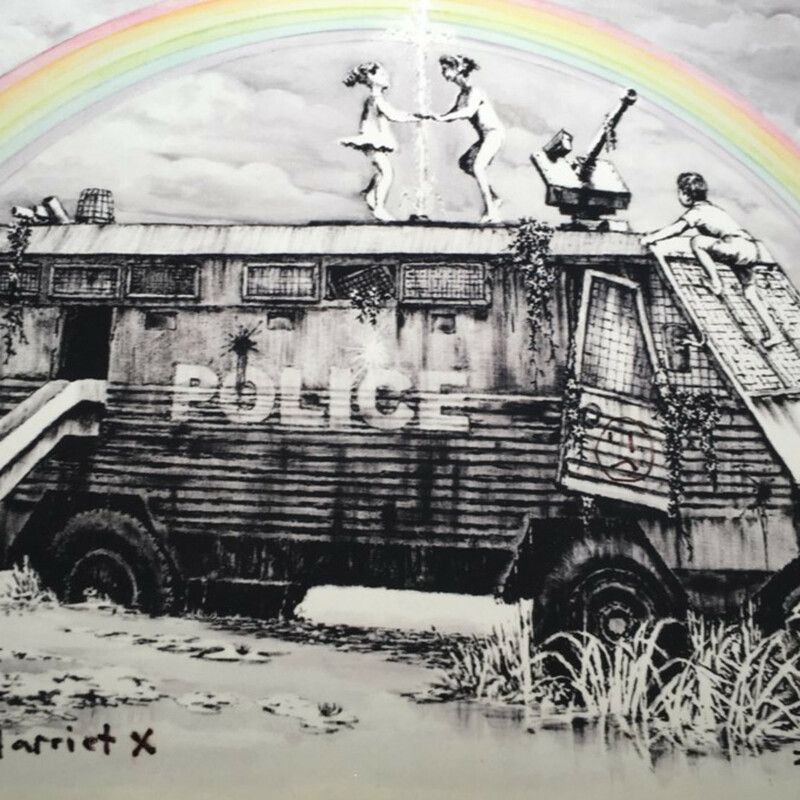 A house in Bristol with Banksy art work on the outside was sold as ‘a work of art with a house attached’ and many Banksy art images have moved off public walls and into private collections. 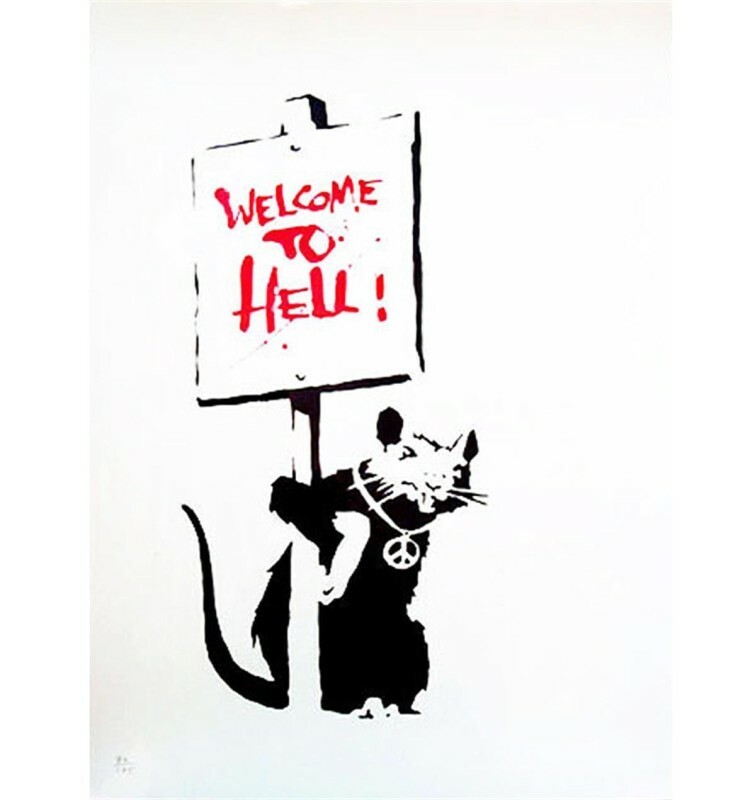 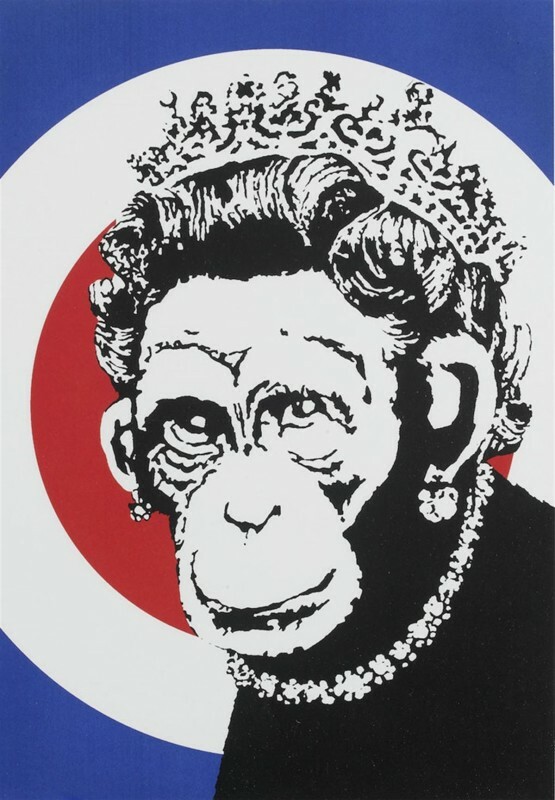 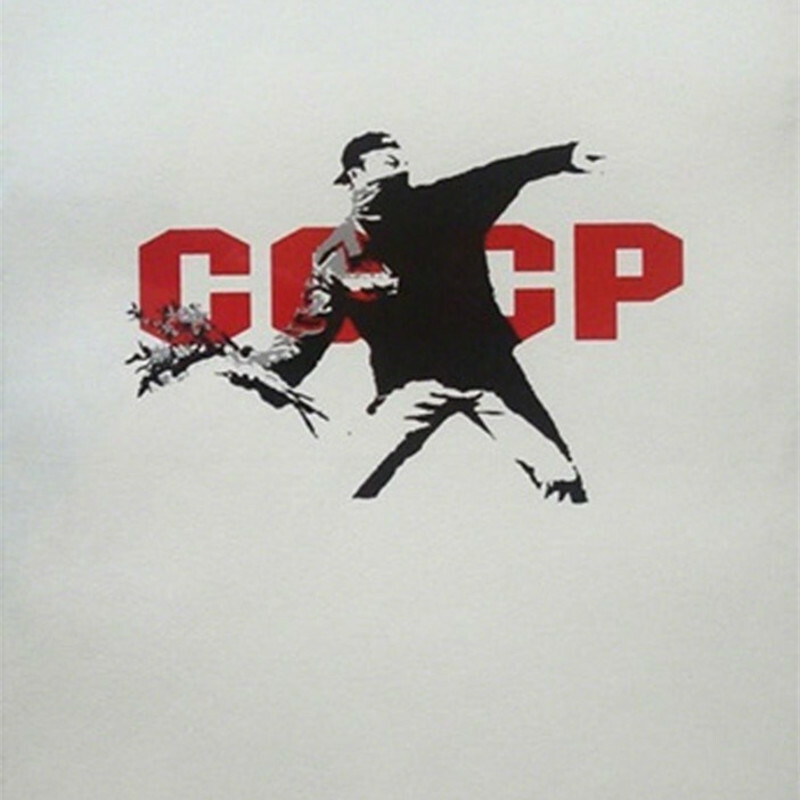 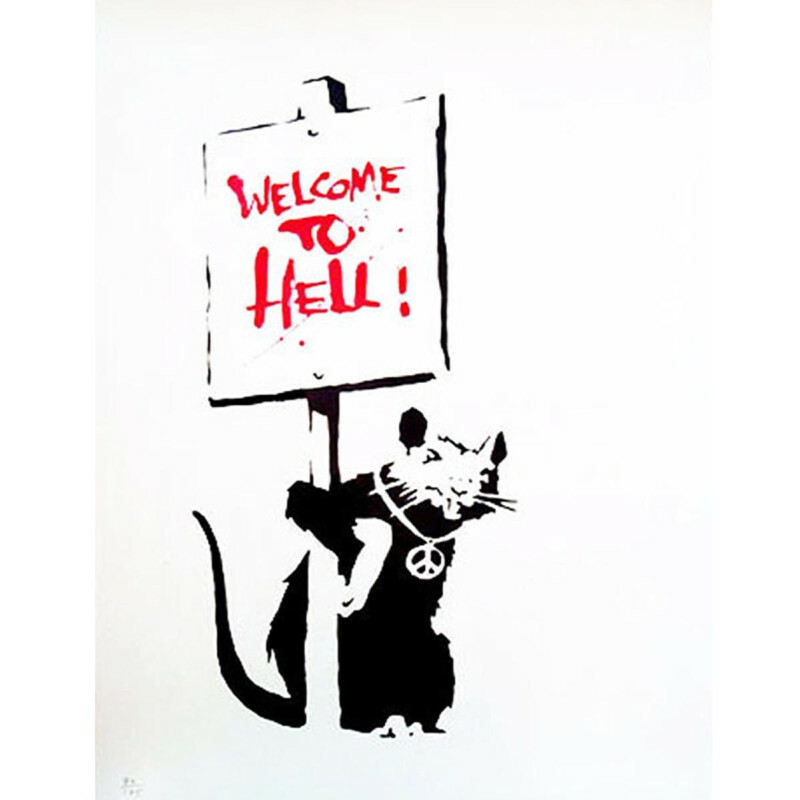 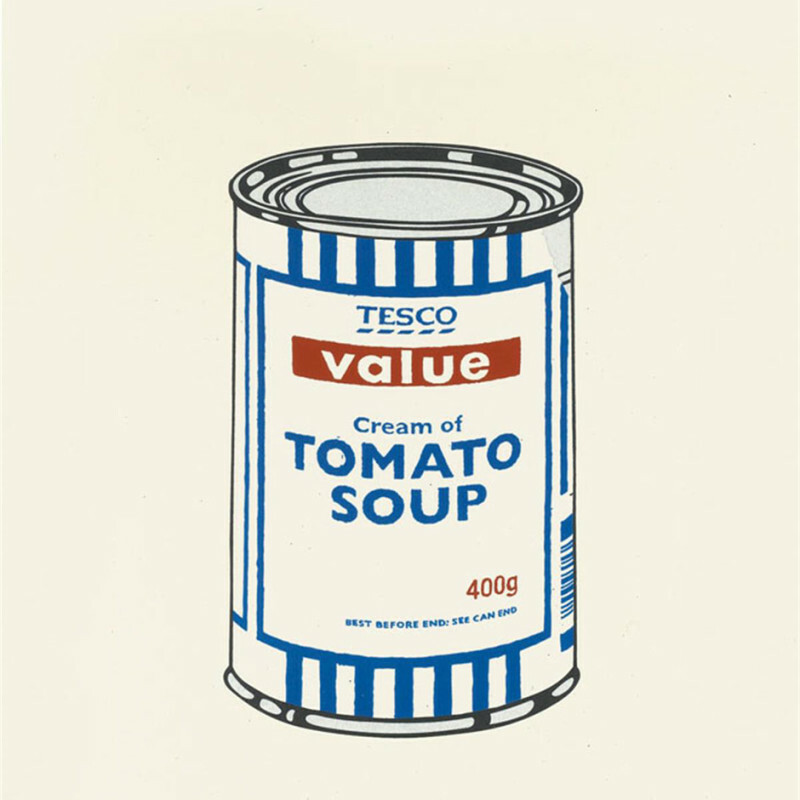 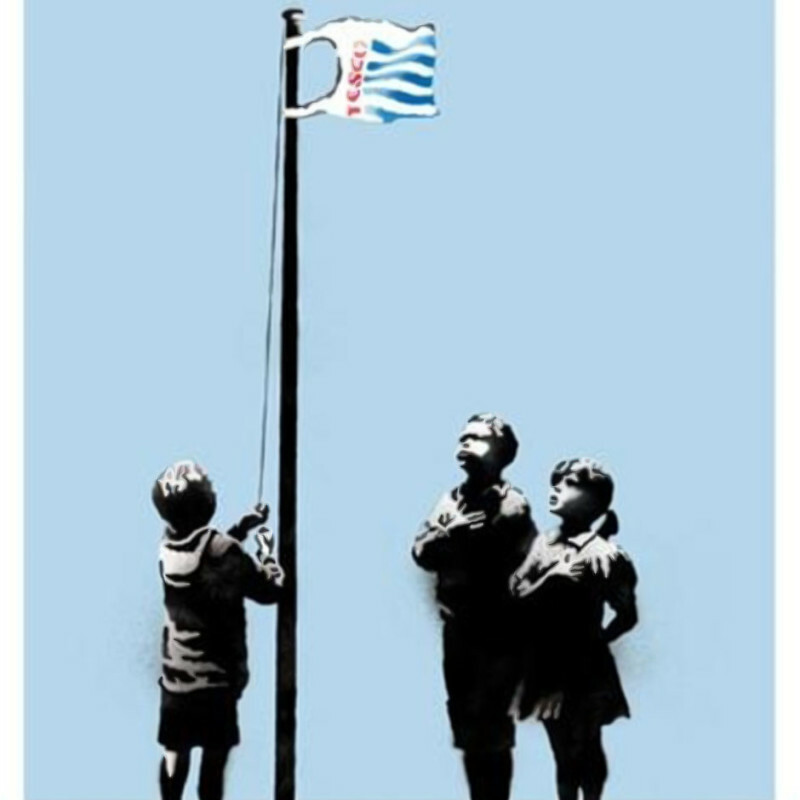 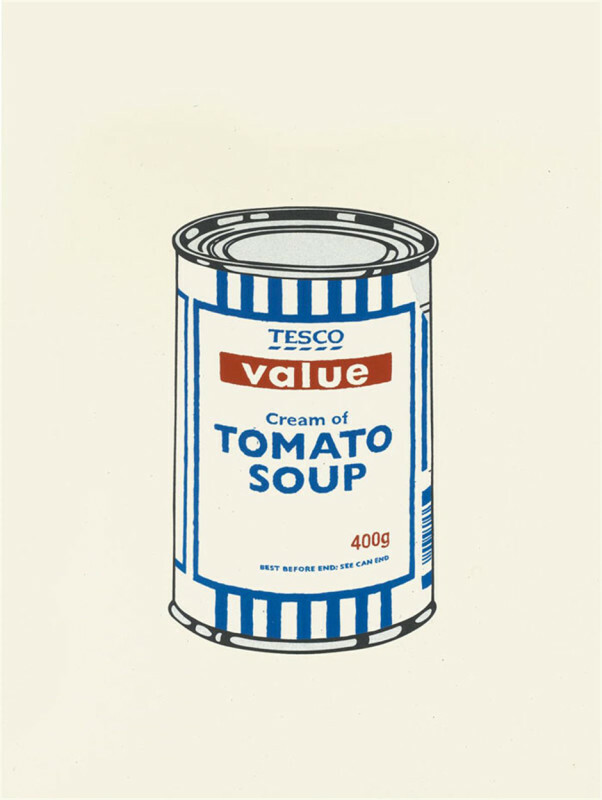 His work combines spray paint and stencilling techniques with commercial, political and contemporary imagery, coupled with ironic social commentary and humour. 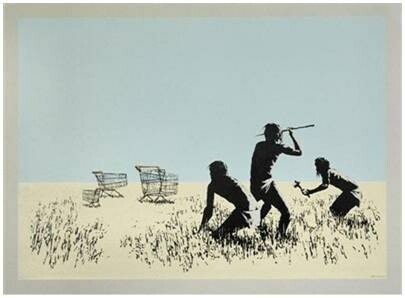 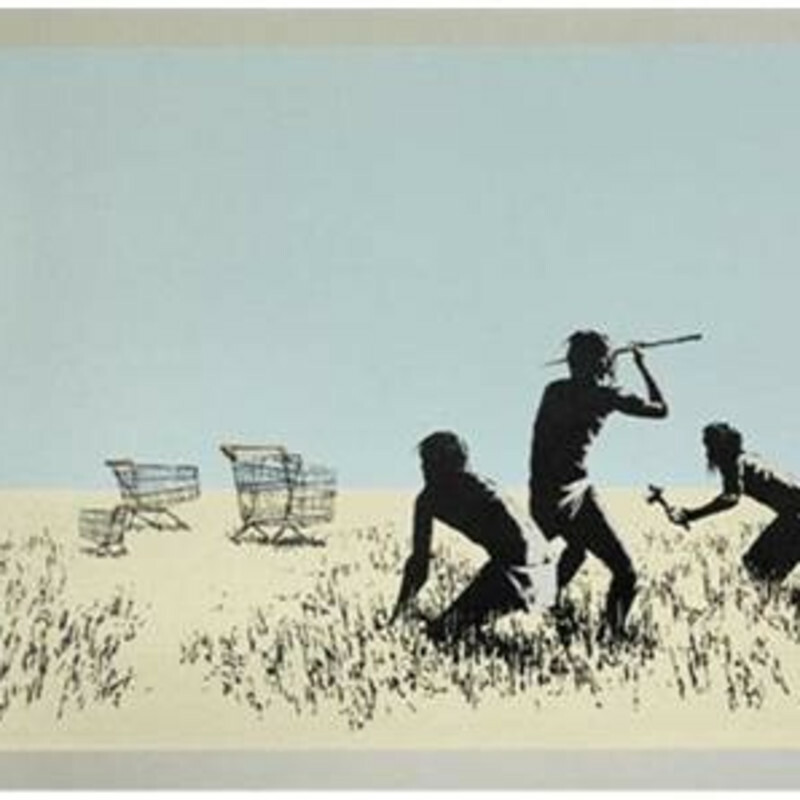 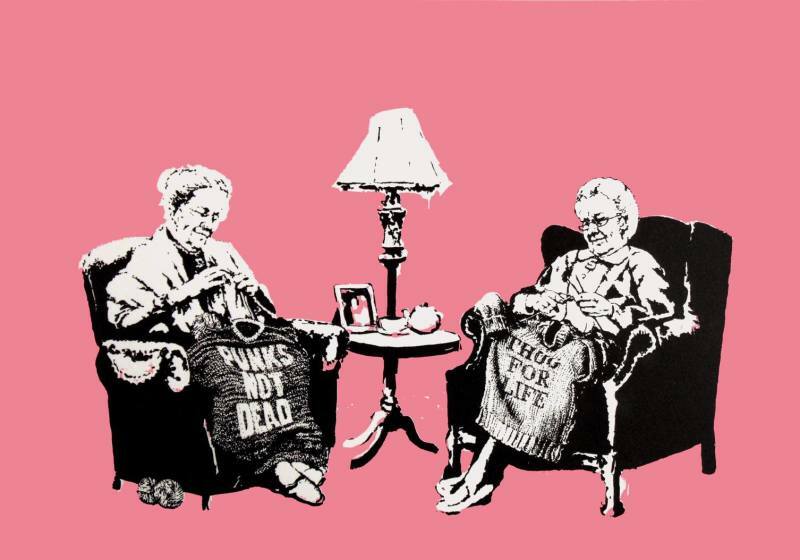 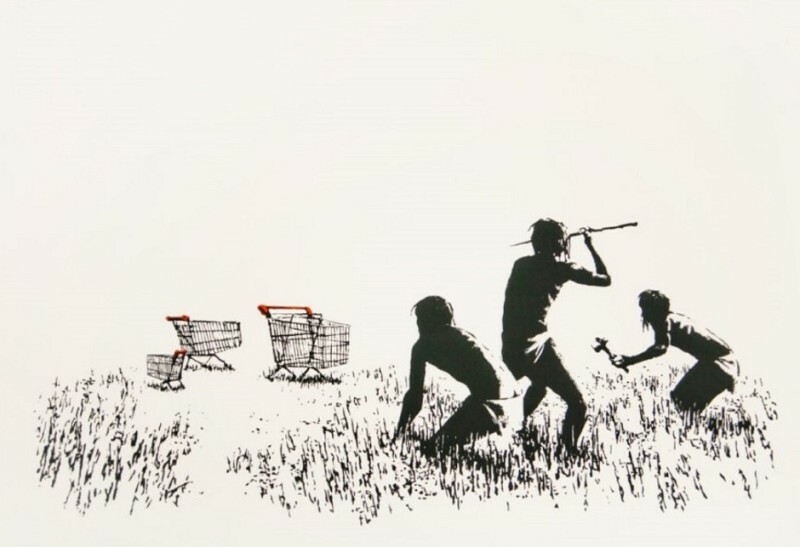 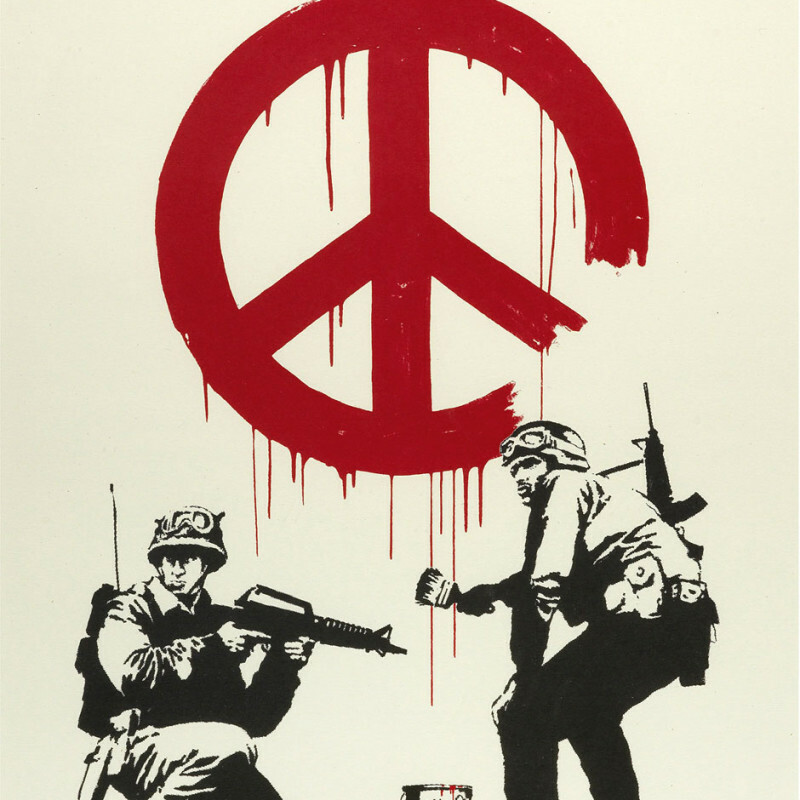 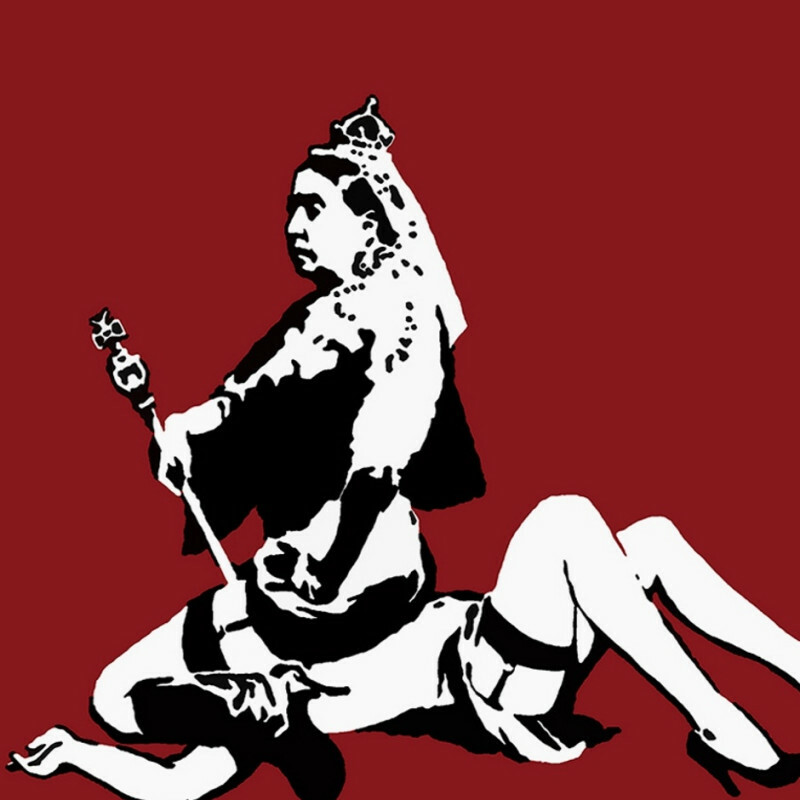 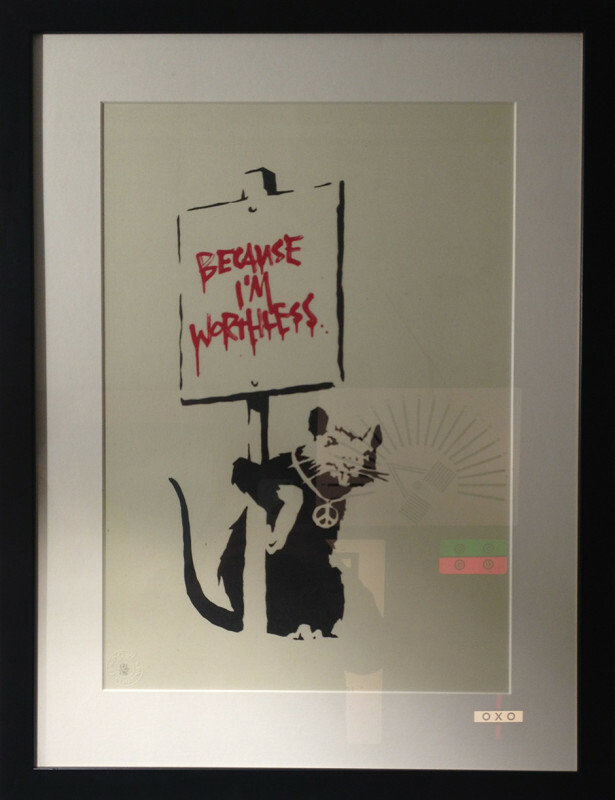 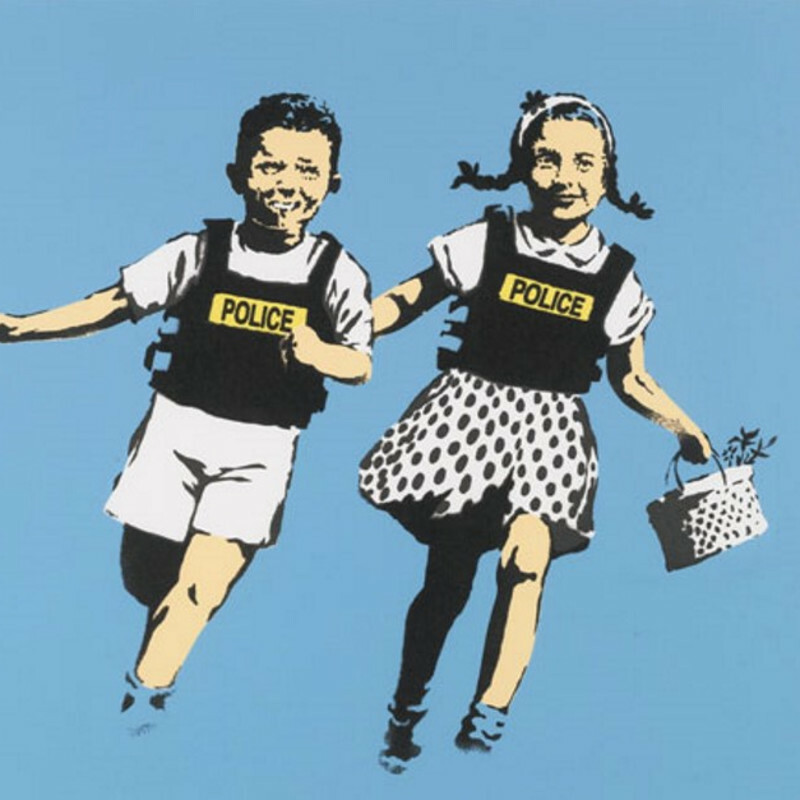 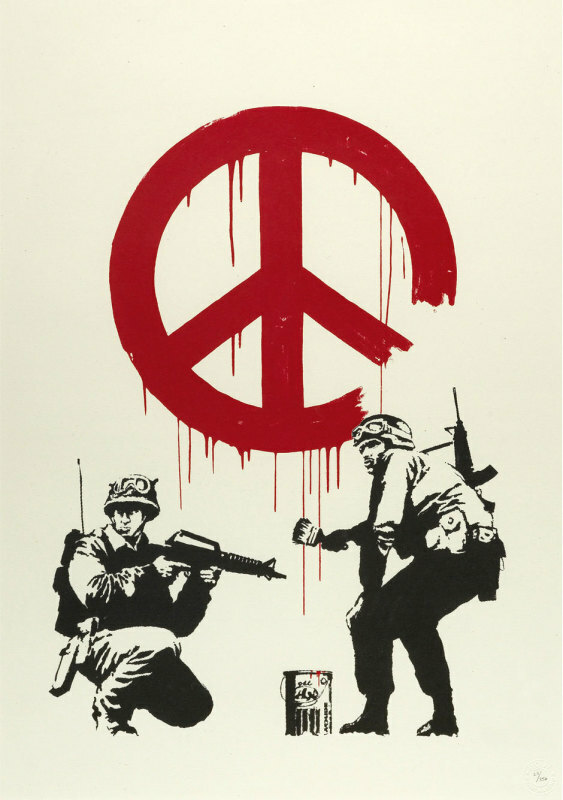 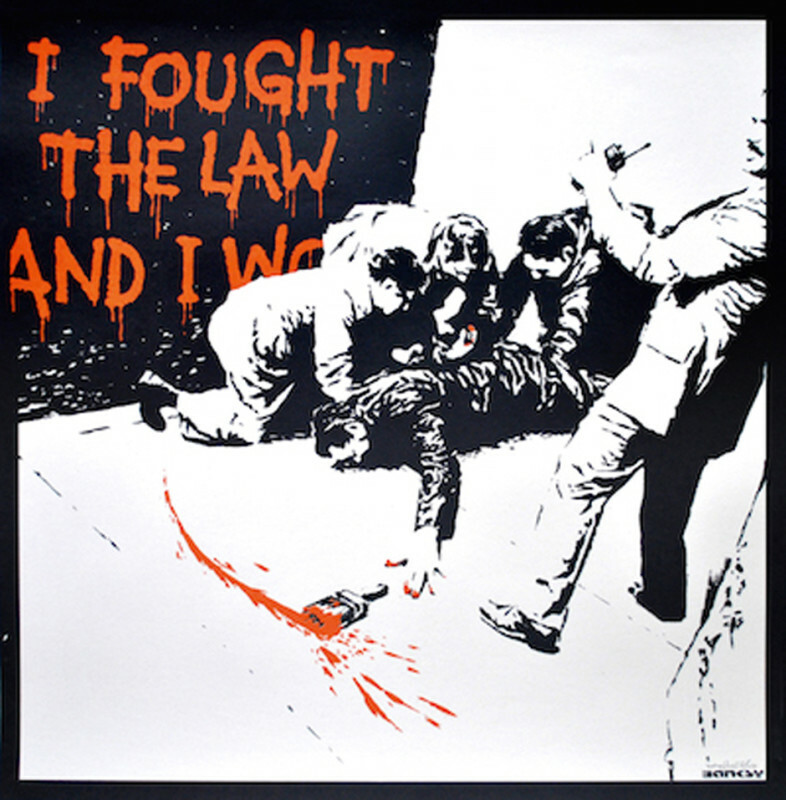 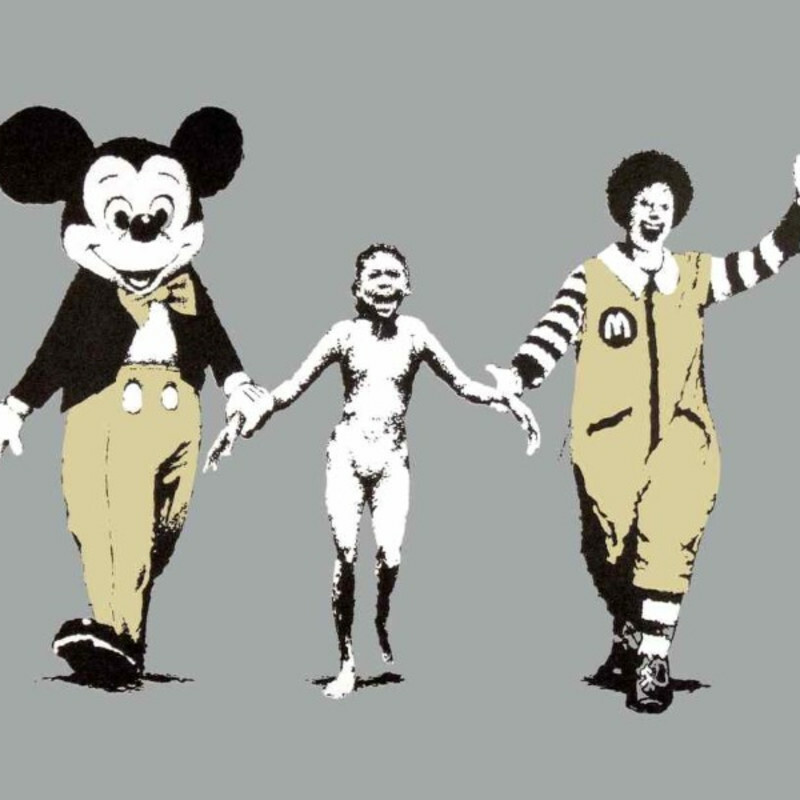 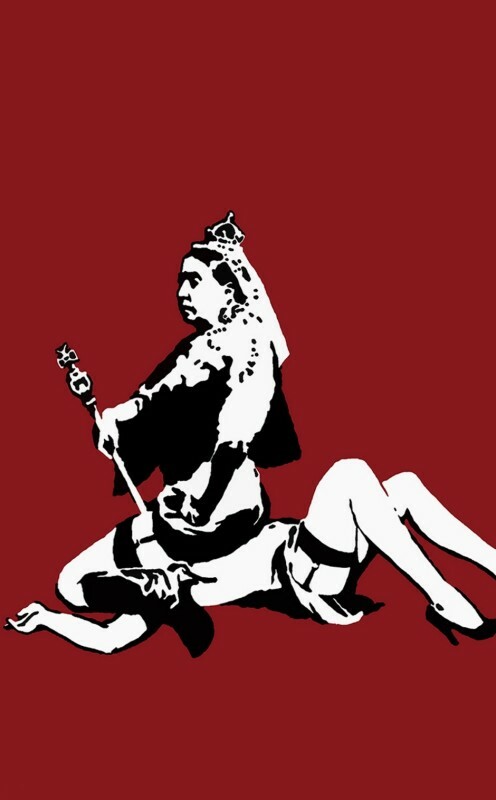 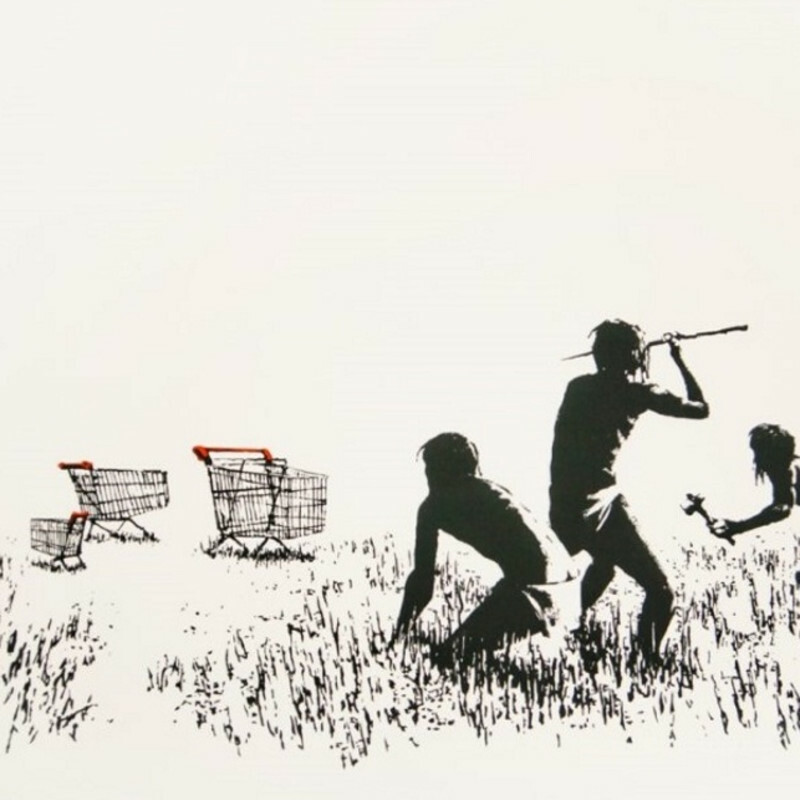 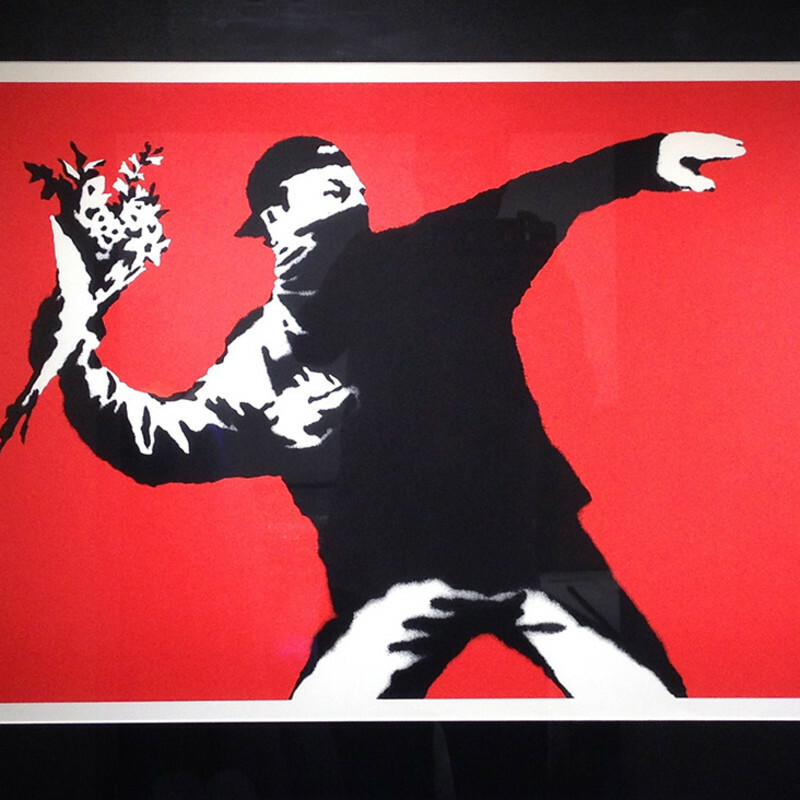 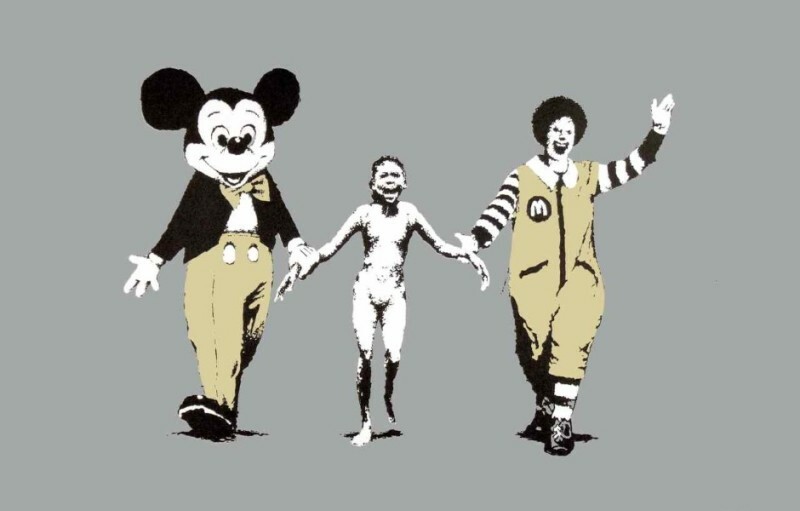 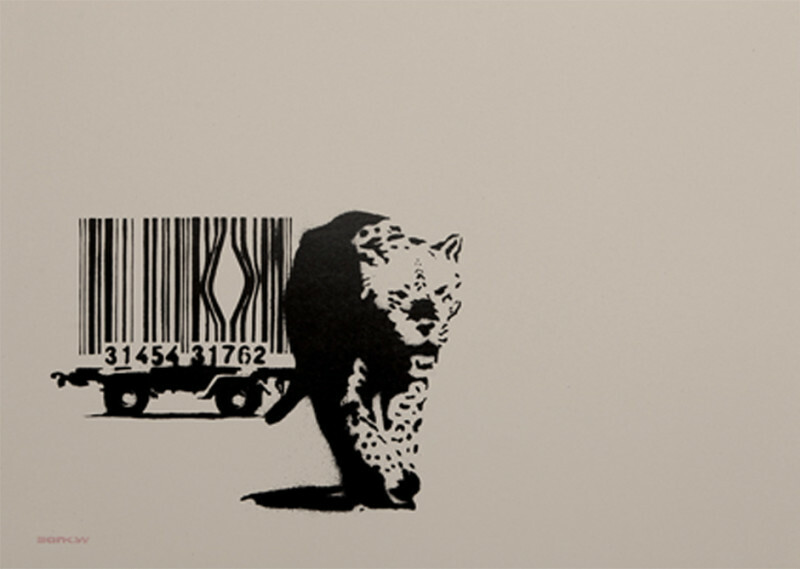 Critical of business and corporations, Banksy’s work often focuses on the negative aspects of capitalism and social injustice. 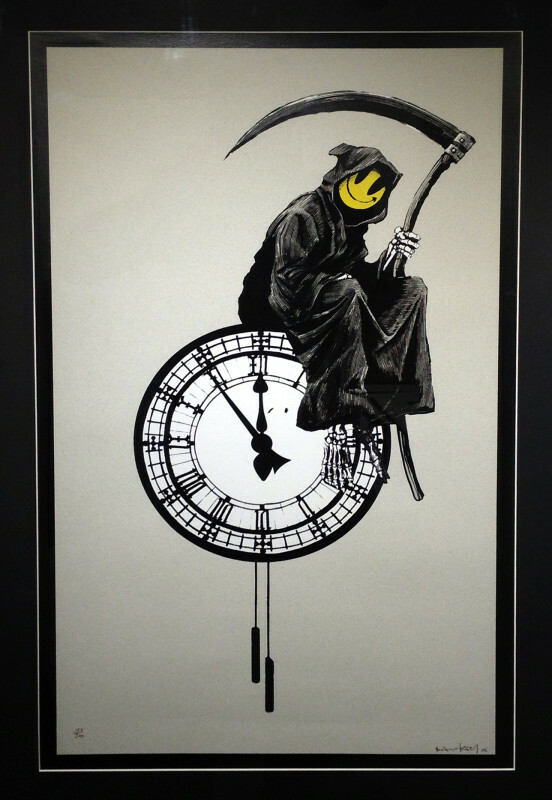 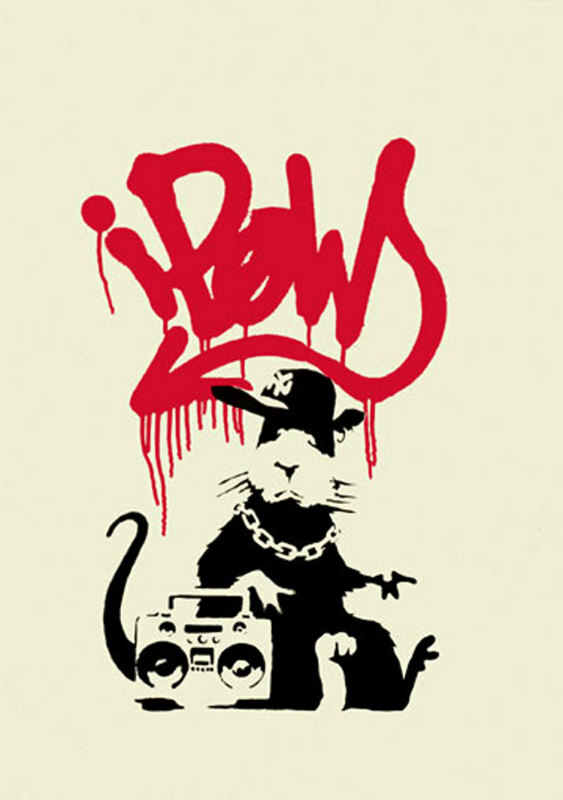 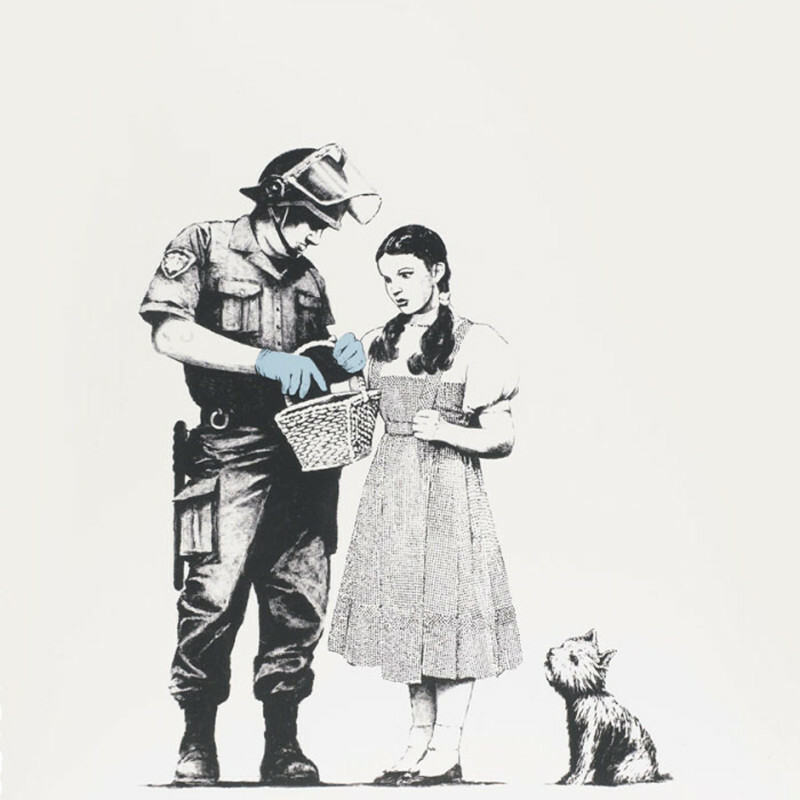 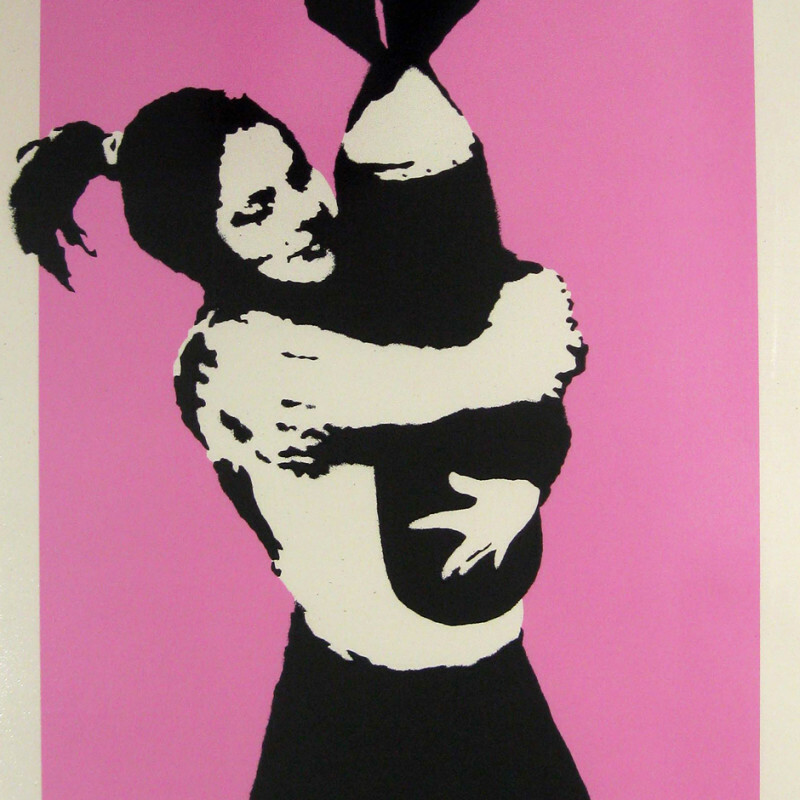 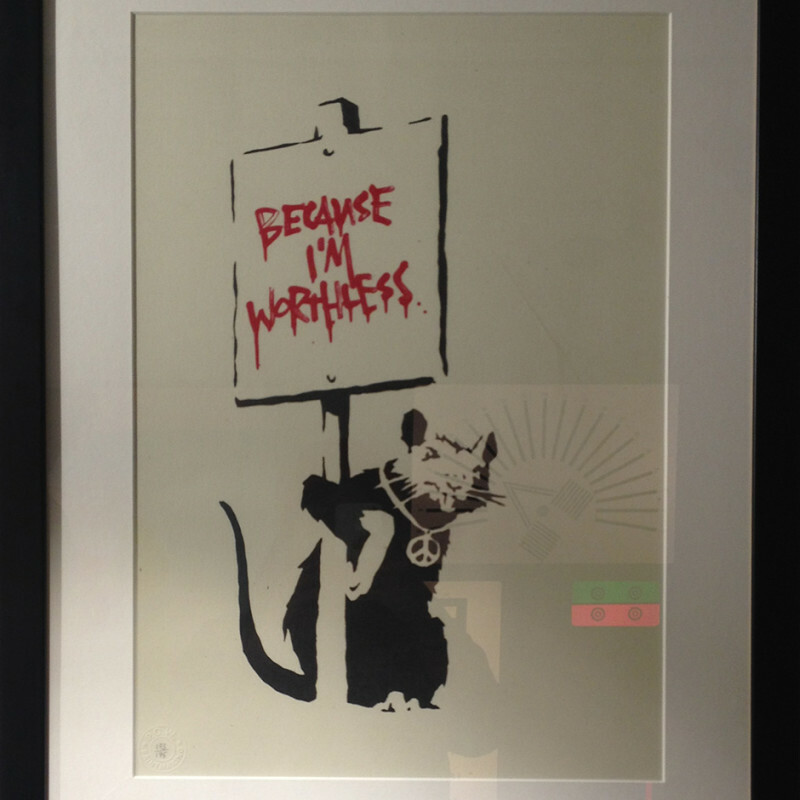 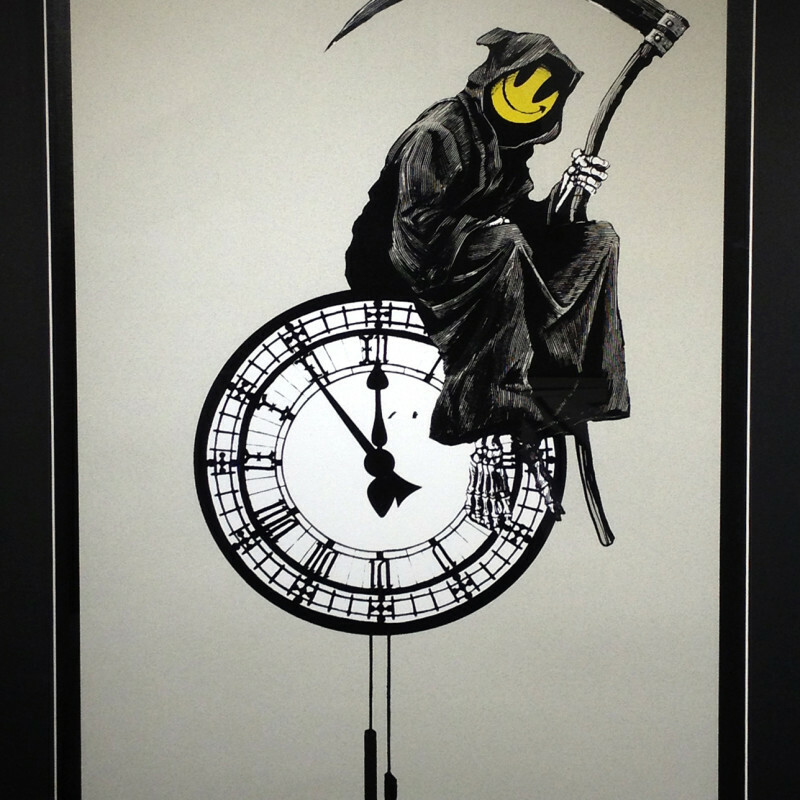 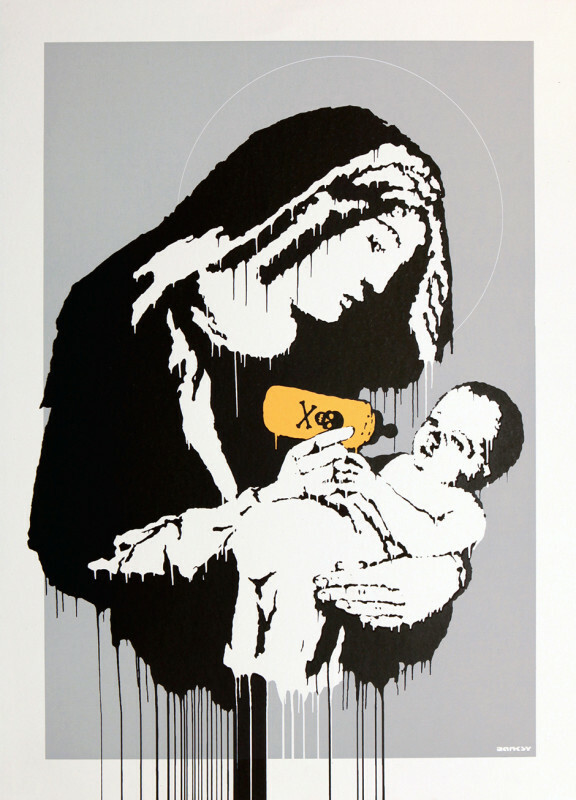 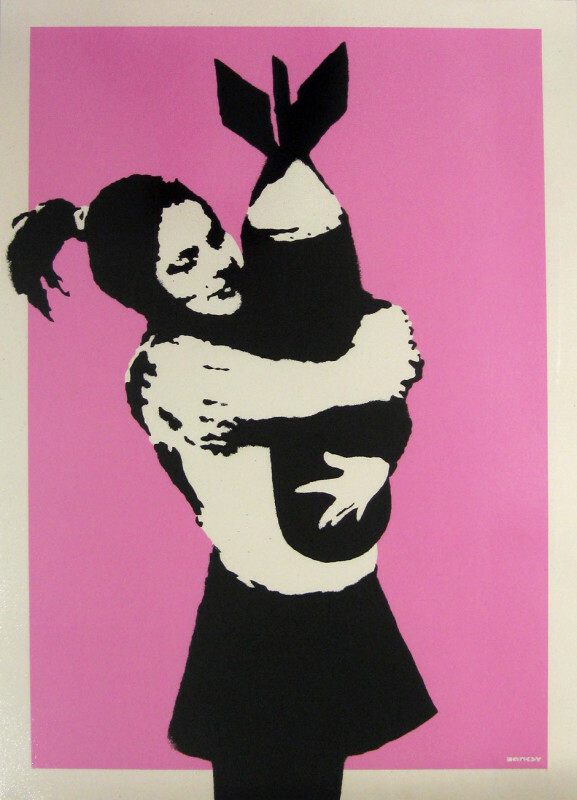 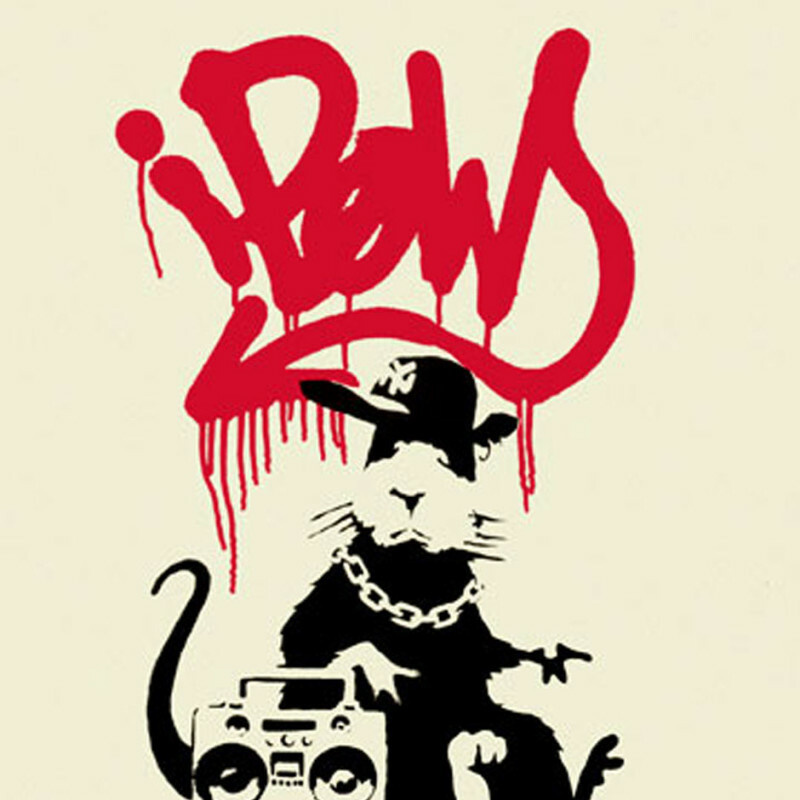 Born in or around 1974 and from Bristol, Banksy has also self-published several books. 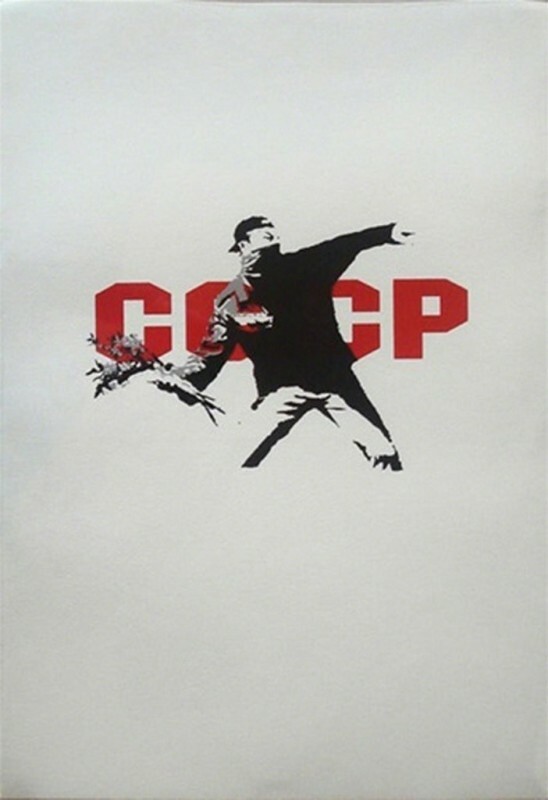 Accompanied by his own subversive and witty comments they contain photos of his work in various countries alongside a selection of his canvas and exhibition work. 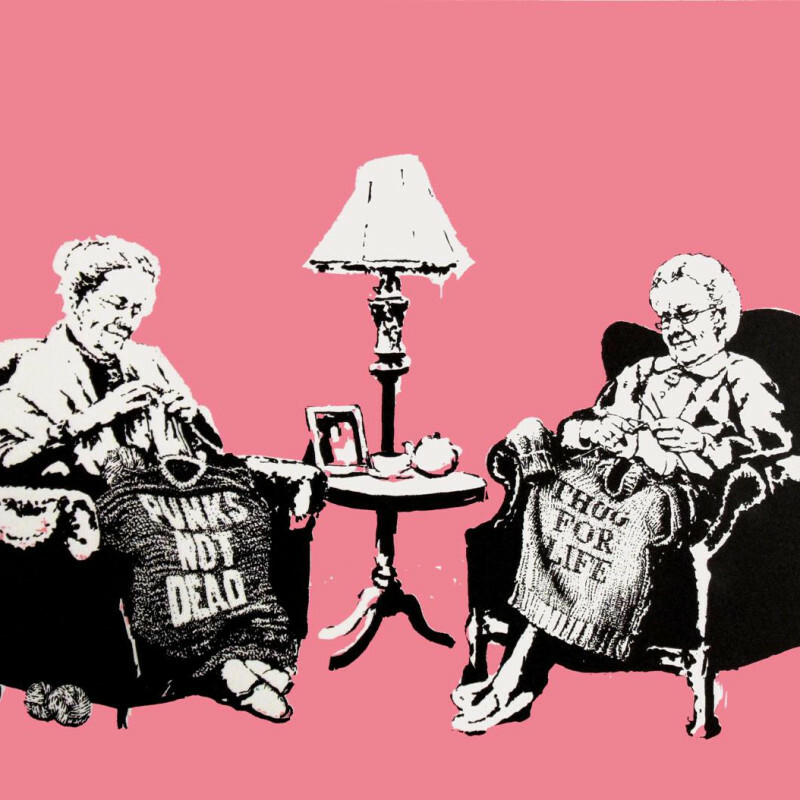 2015 saw the culmination of one of Banksy’s biggest and most ambitious projects, his five weeklong pop-up “Bemusement Park”, Dismaland. 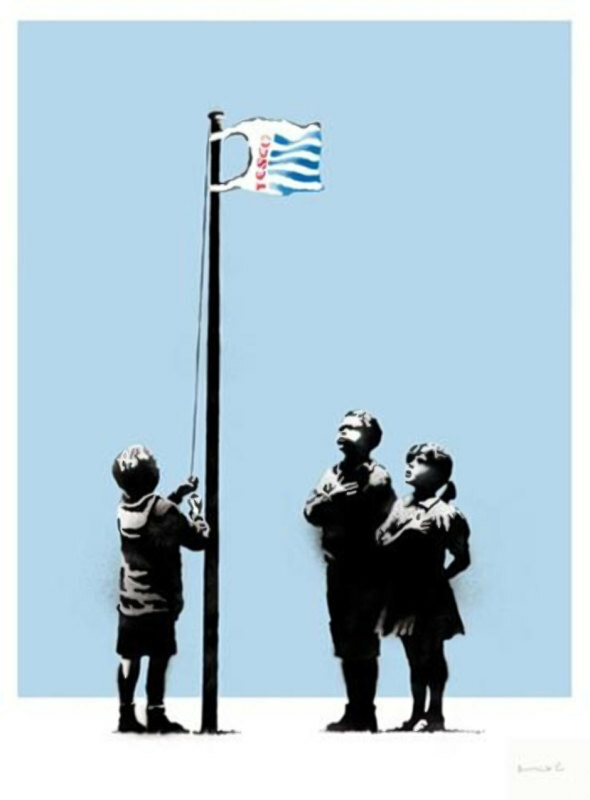 The project saw a disused lido in Weston-super-Mare become the hottest location in the art world, as Banksy’s transformed it into “a festival of art, amusements and entry-level anarchism". 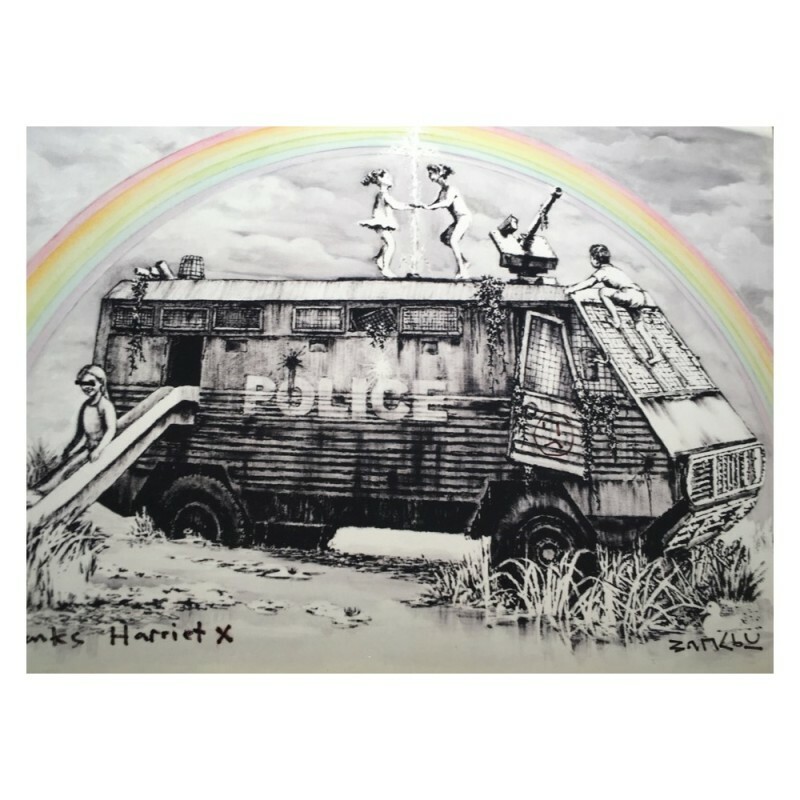 Dismaland attached 150,00 visitors and saw the artist adopt a more curatorial role as he displayed his own new work, alongside 58 hand picked other practitioners.